im having a problem with my new dell inspiron 14.
it has a pre-installed Ubuntu and everything is working fine but when I install windows 8 32 bit or even the 64 bit os. 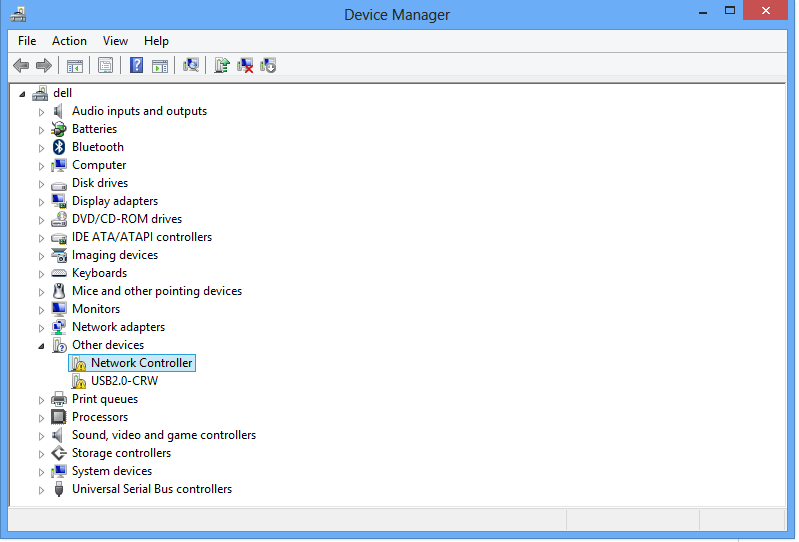 network controller doesn't work. I installed a lot of drivers suggested by the dell sites but it didn't fix the problem. i'm currently using windows 8 64 bit. hope you guys help me for this. here's the screen shot of my device mngr.